Mark Van Doren, the noted literary scholar, once remarked, "The college is meaningless without a curriculum, but it is more so when it has one that is meaningless." Many current critics of undergraduate curricula in America assent to the crucial need for programmatic renewal in our colleges and universities. They bemoan the cookie-cutter sameness in far too many of them. The oddity is that U.S. colleges have long touted their "diversity" while largely holding fast to rather traditional pathways. This illuminating volume goes beyond formulaic nuts-and-bolts recipes for constructing curriculum: it seeks to interpret and analyze the contemporary landscape of college curriculum. Yet it also hopes to heighten pedagogic horizons in more imaginative, innovative ways by presenting actual curricula from more distinctive academic offerings. 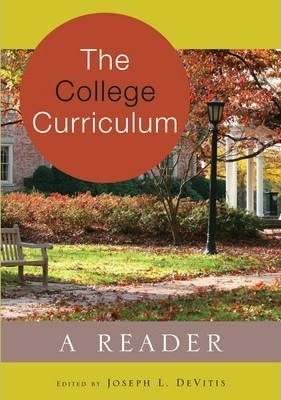 This book will stimulate vitally needed "out-of-the-box" thinking about curricula among faculty, administrators, and students, and ultimately invite the emergence of more radically diverse visions and realities for today's college curriculum. Contents: Roger William Gilman: What Is a Liberal Education? - Christopher J. Lucas: Liberal Education: The Challenge of Consumerism, Careerism, and Commodification - Daniel R. DeNicola: Liberal Education and Moral Education - Donald Lazere: A Core Curriculum for Civic Literacy? - Jonathan D. Stolk: Understanding Student Motivation: A Key to Effective Curriculum Design - Eric C. Sheffield: Community Service Learning and Higher Education: The Need for a Prerequisite to Thoughtful Service - William H. Schubert: Multiple Curricula in Higher Education - Peter Kalkavage: The Habit of Reflection: An Essay on St. John's College - William A. Frank: An Essay in American Liberal Education: University of Dallas's "Core Curriculum" - Roger William Gilman: Fairhaven College and the Progressive Curriculum - Duncan Dobbelmann/Isabel Roche: The Plan for Bennington: An (Ever) Emergent Curriculum - Laura Wenk/Kristen Luschen: Multiple Routes, Alternative Learning Experiences: Developing Analytic Abilities, Practical Skills, Creativity, and Self-Reflection at Hampshire College - Susan Oaks: Individualized Undergraduate Curricula at SUNY Empire State College - Kristin Woolever and Paul Burkhardt: Prescott College: Lessons Learned "For the Liberal Arts, Environment, and Social Justice" - Susan A. Ashley: The Colorado College Block Plan - Tim Seiber/Kelly Hankin: A Community of Advisors: The Johnston Center for Integrative Studies at the University of Redlands - Jeffrey Tang: Building an Integrated Science and Technology Program at James Madison University - Lynn Andrea Stein/Mark H. Somerville/Jessica Townsend/Vincent P. Manno: Olin College: Re-Visioning Undergraduate Engineering Education - Amy S. Green: Teaching and Learning Outside the Box at John Jay College of Criminal Justice - Lisa Gring-Pemble: "Connecting the Classroom to the World": An Integrative, Interdisciplinary, and Experiential Approach to Learning at George Mason University - Terry L. Price: The Liberal Arts Approach to Leadership: The Curriculum of the Jepson School of Leadership Studies at the University of Richmond - Daniel O. Prosterman: Revising the Salem Signature: Crafting an Interdisciplinary General Education Program - Nicholas P. Money: Developing a New Individualized and Interdisciplinary Curriculum for the 21st Century: Miami University's Western Program Reimagined - John P. Esser/Lily D. McNair/Richard Guarasci: Staying Alive With The Wagner Plan: How to Keep a New First-Year Program Thriving Fifteeen Years Out - Adrienne Bloss/Gail Steehler: The Intellectual Inquiry Curriculum at Roanoke College - Stephen Sharkey/Kathleen O'Brien: Starting With the Students: Integrating Theory and Practice in Teaching, Learning, and Curriculum Development at Alverno College - Thomas J. Mauhs-Pugh/Meriel Brooks: Seeking "Productive, Caring, and Fulfilling Lives" Through the Environmental Liberal Arts at Green Mountain College - Michelle Clare/Anita Todd/Kettil Cedercreutz: Starting Its Second Century: Cooperative Education at the University of Cincinnati - Bruce Keith/Thomas Judd: Building Students' Capacity to Lead: The West Point Leader Development System - Joanna Swanger: From the Local to the Global, to the "Beyond" and the In-Between: Earlham College's Peace and Global Studies Program - Robert Baker: Union College's Ethics Across the Curriculum Program. Joseph L. DeVitis has taught at five universities in his 40-year academic career. Recipient of the Distinguished Alumni Award from the College of Education, University of Illinois at Urbana-Champaign, he is a past president of the American Educational Studies Association (AESA), the Council of Learned Societies in Education, and the Society of Professors of Education. Author or editor of 15 books, he has written extensively on moral development, liberal education, collegiate service-learning, and educational reform. His most recent books are a series of notable readers for Peter Lang Publishing: Contemporary Colleges and Universities (2013); Critical Civic Literacy (2011); Character and Moral Education (2011), edited with Tianlong Yu; and Adolescent Education (2010), edited with Linda Irwin-DeVitis. The latter two books received Critics Choice Awards from AESA as outstanding books of the year.